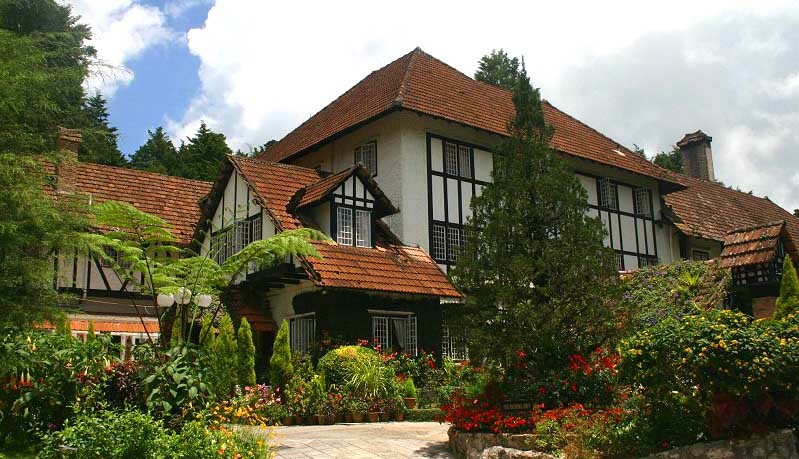 Nature lovers will adore the scenic view of Cameron Highlands. 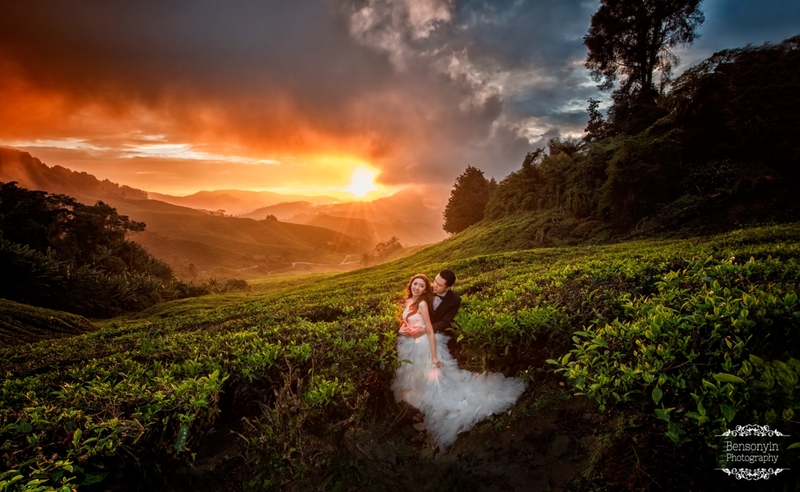 The famous tea plantation offers an ethereal, enchanting backdrop that frames romantic photographs perfectly. 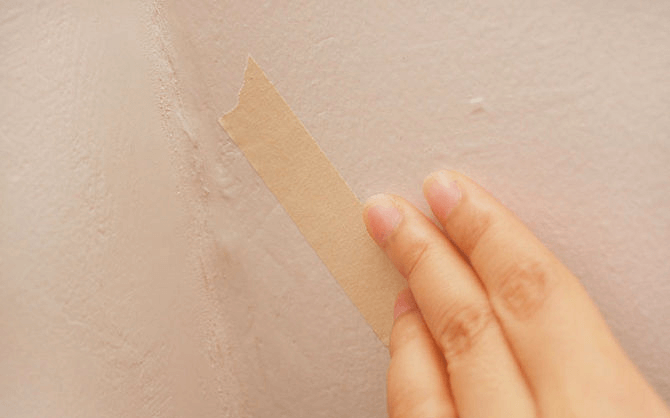 Needless to say, the cool weather means you won’t be sweating and swatting off mosquitoes. Venue fee: Check rates here. 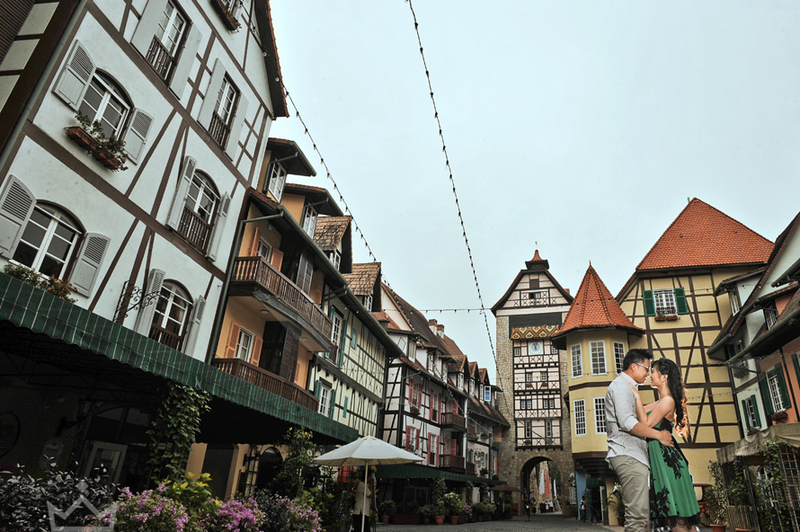 Located in Bukit Tinggi, Colmar Square is the replica of French village Colmar Alsace in France. The adorable French medieval and early Rennaisance buildings are infused with a European vibe, complete with cobbled paths, colourful flowers and quaint shops. 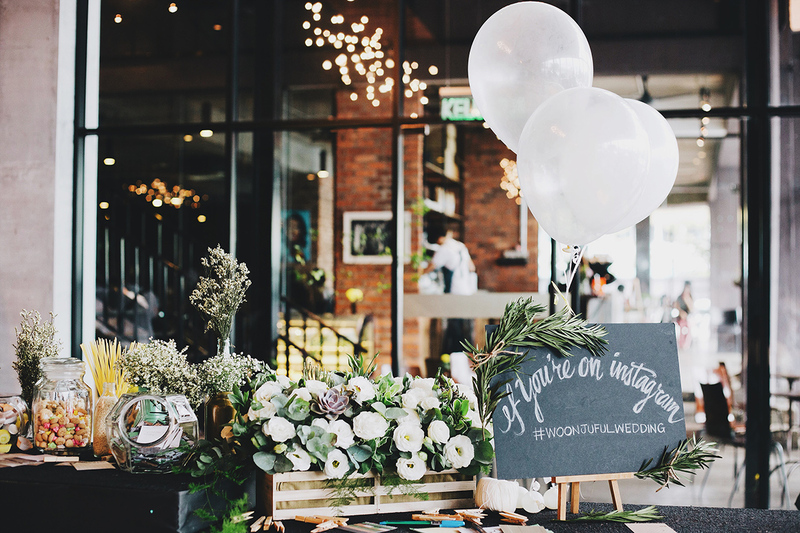 Merchant’s Lane is currently one of KL’s hottest cafés – not just because of its flavourful coffee and food, but also for its retro interior decor. 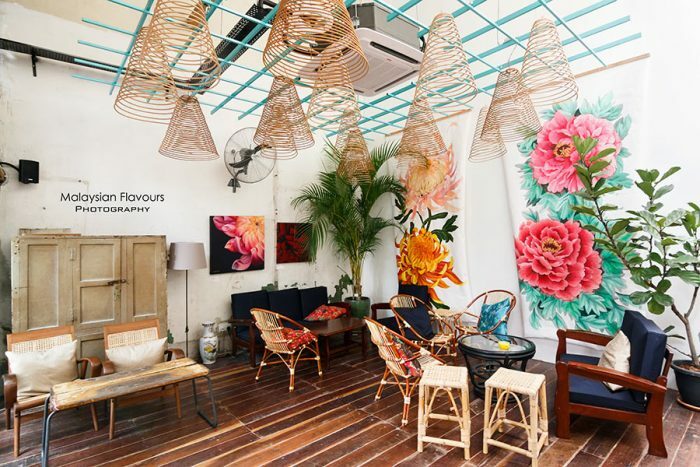 The brothel-turned-café was decorated to evoke memories of Petaling Street’s early days. 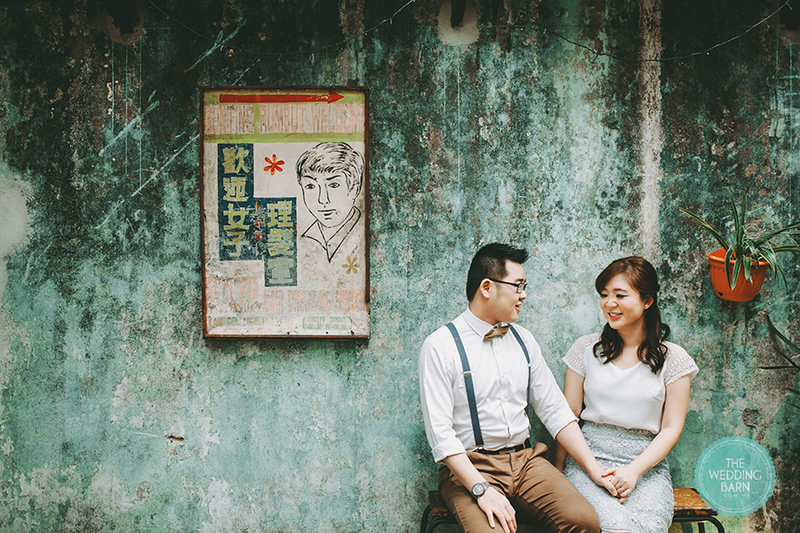 The cafe’s ornate, vibrant and locally vintage design is a favourable choice among many photographers and couples. 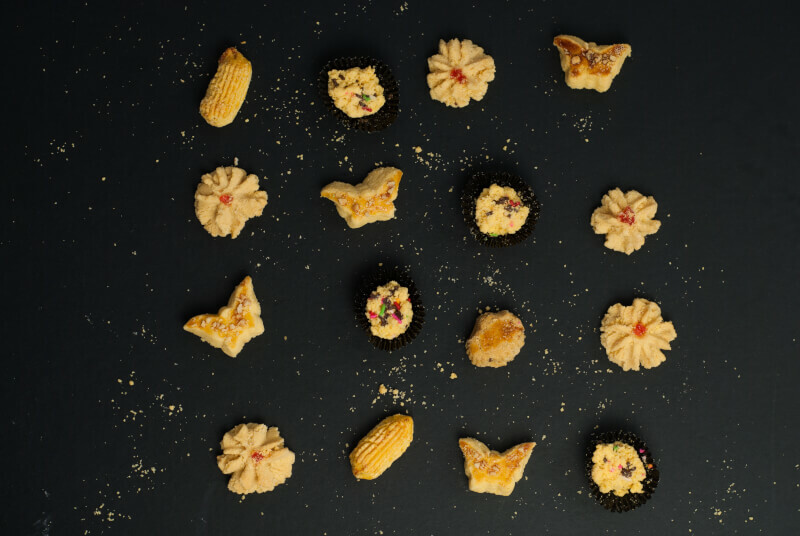 While you’re there, don’t forget to sample the food and beverages, especially the Hongkie beef stew and the rose honey milk! 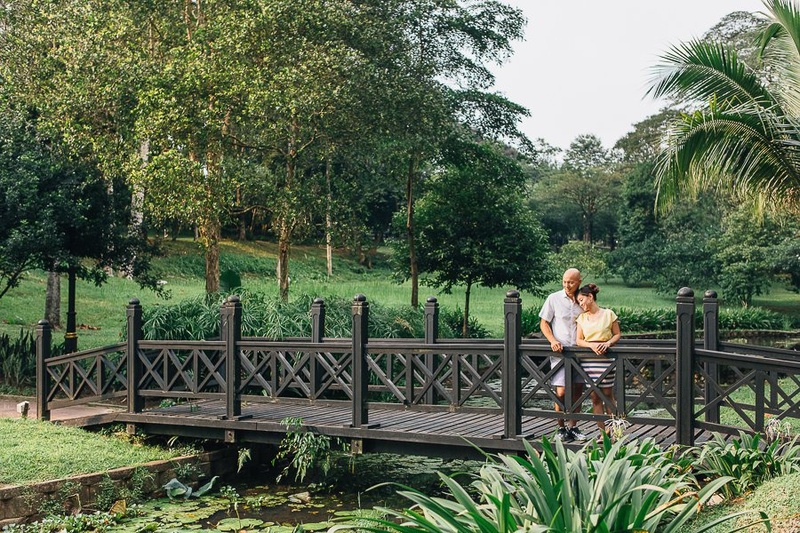 Located smack in the heart of KL, Lake Gardens is a sweet escape away from the hustle and bustle of the noisy city. 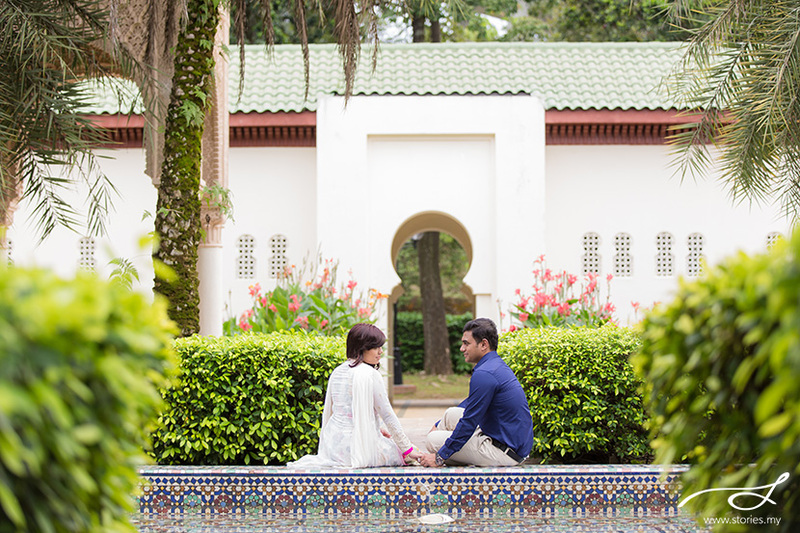 The large expanse of the garden is blanketed with trees and big lawns that are perfect for romantic photoshoots among nature. Come here early in the morning (before 9 a.m.) or in the evening (after 4.30 p.m.) for the best lighting conditions. This 230-acre garden (yes, it’s massive! 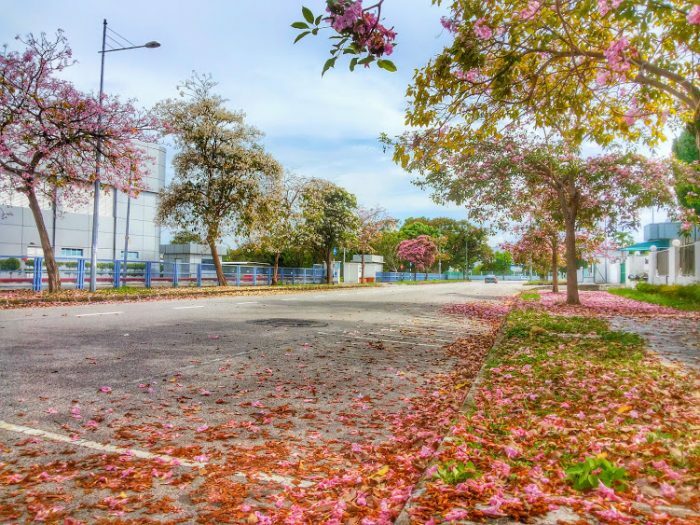 ), has housed plenty of photoshoots, thanks to its ample variety of trees and tropical flowers. 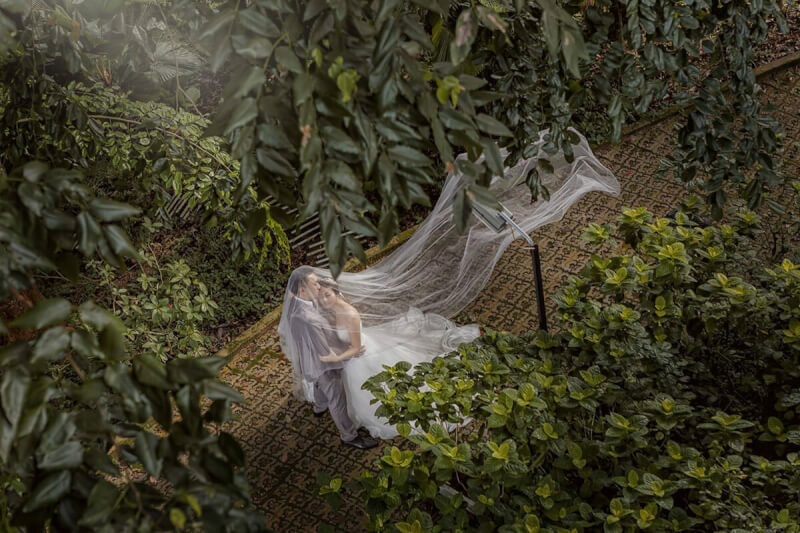 The entire garden is beautifully manicured and well-maintained, so you can expect picture-perfect shots especially when you have a talented photographer. Apart from lovely gardens, Putrajaya is also home to some of Malaysia’s most unique bridges. These infrastructures reflect architectural brilliance, and some of them have been coined as some of the most photogenic bridges to shoot at. 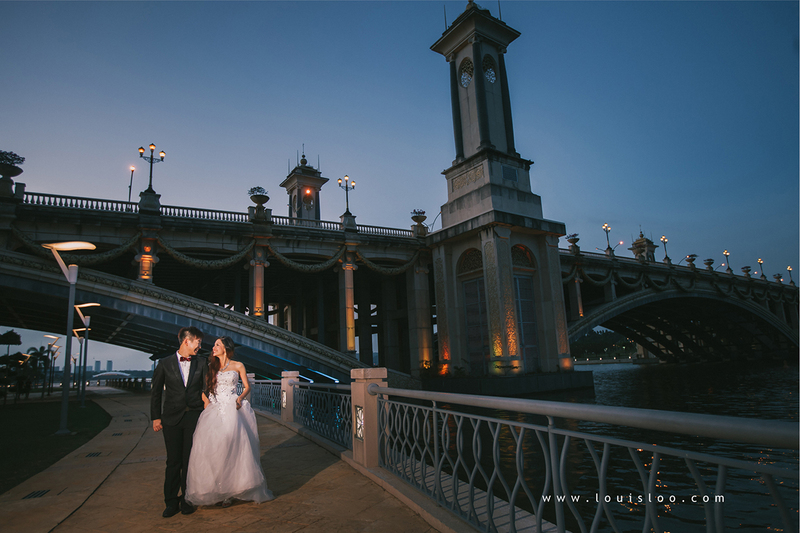 The one above is the infamous Seri Gemilang Bridge, which is extremely romantic at night when the golden lights bring the entire bridge to life. 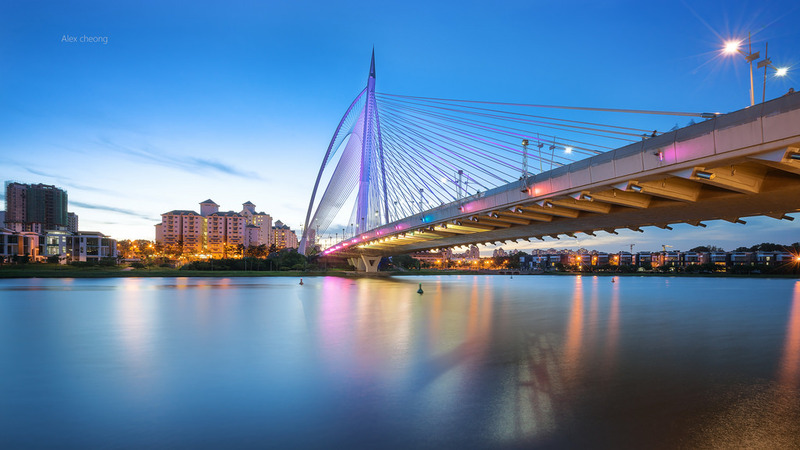 The Wawasan Bridge is featured in the image below, a decorative and equally enchanting infrastructure that is highly ranked as one of Putrajaya’s coolest bridges. The Forest Research Institute Malaysia (FRIM) is another favourite spot. 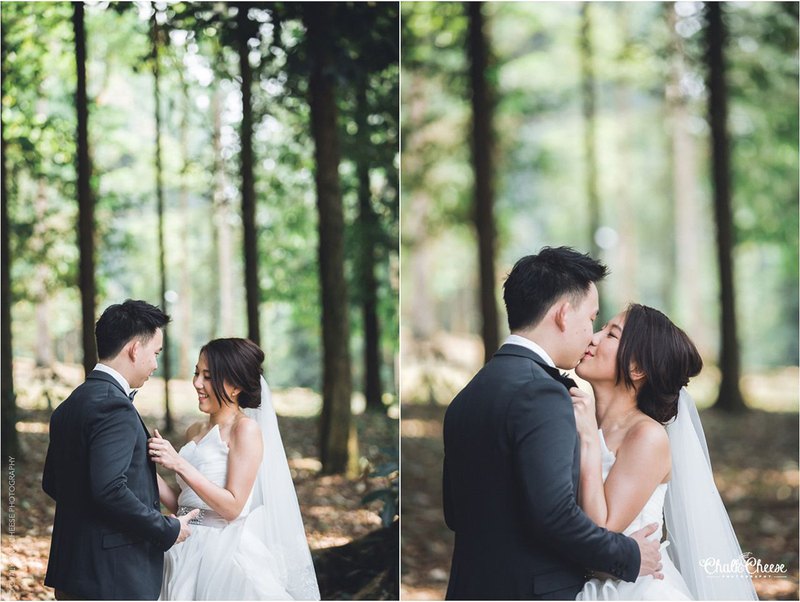 The shady trees and incredible flora set the scene for a peaceful, intimate and relaxing photoshoot in the heart of nature. 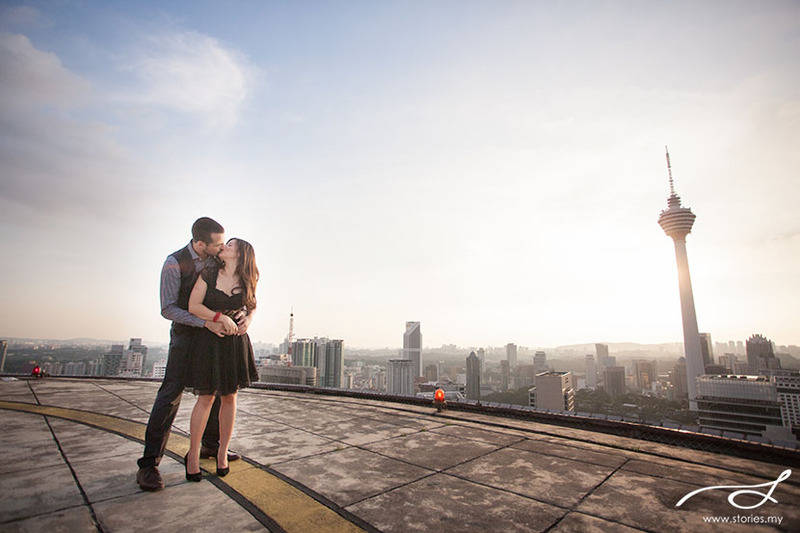 Fancy a remarkable skyline pre-wedding shoot? 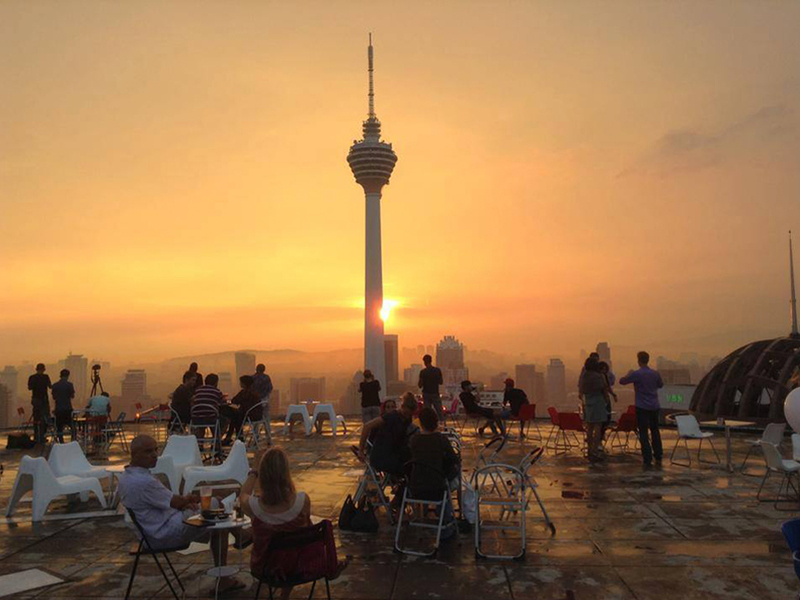 Head to Heli Lounge Bar in Kuala Lumpur at sunset for the gorgeous photos and you’ll get a sprawling view of the city skyline in the background. It doesn’t get any sweeter than that. 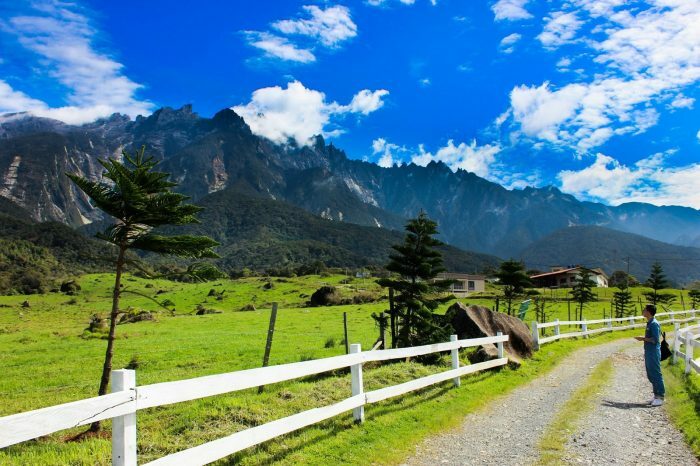 You’re probably thinking: “This can’t be Malaysia.” This dairy farm is located near Kundasang in Sabah, nicknamed the Little New Zealand of Malaysia. 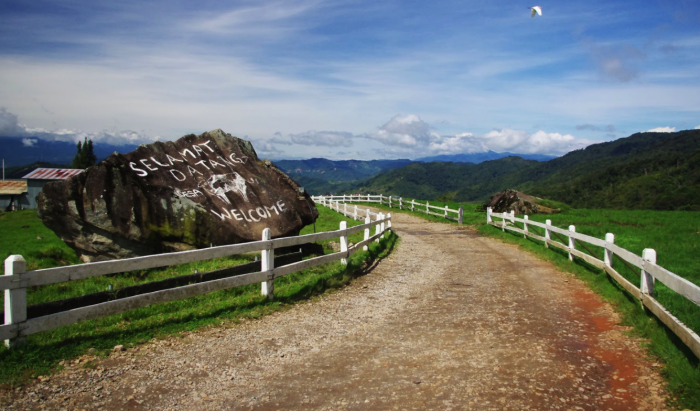 It’s a two-hour drive away from Kota Kinabalu – a very pleasant journey, and a journey that’s worthwhile. 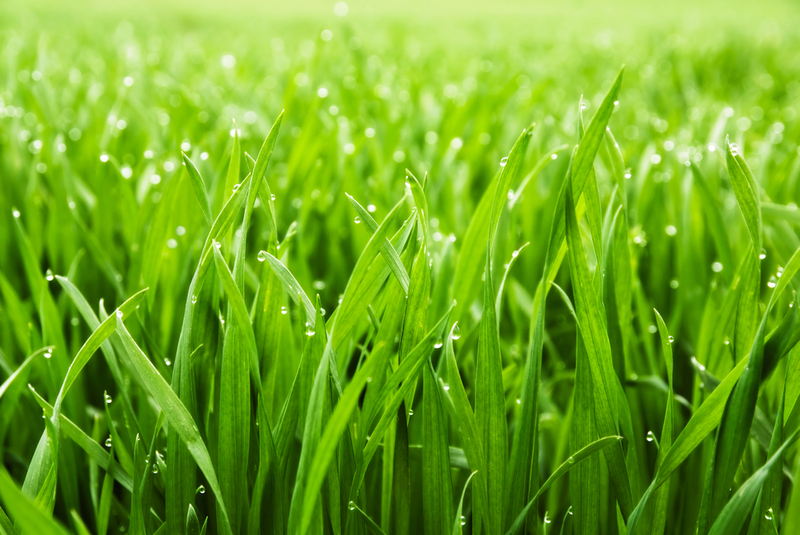 You’ll get verdant fields and steel blue mountains against an even bluer sky once you’ve reached the farm. You don’t need to go to Japan to get some sakuras in your wedding photoshoot. 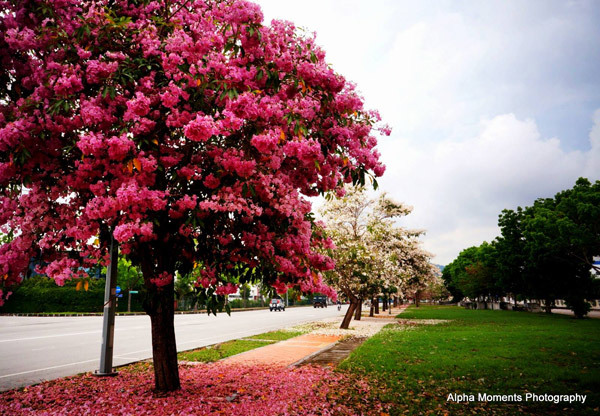 Plan ahead and take a short drive to Penang during March or April to catch the blooming of the Malaysian sakuras! Pro tip: They’re more beautiful when they’re falling. 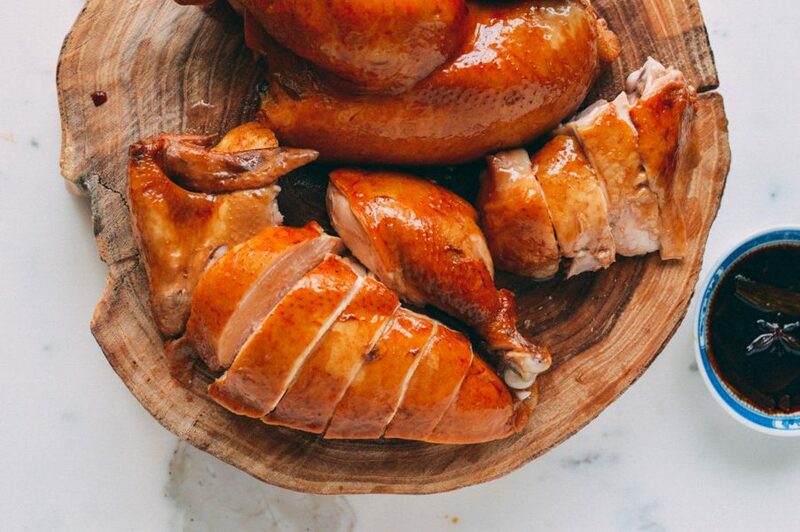 This is the café that is currently making waves on Instagram. 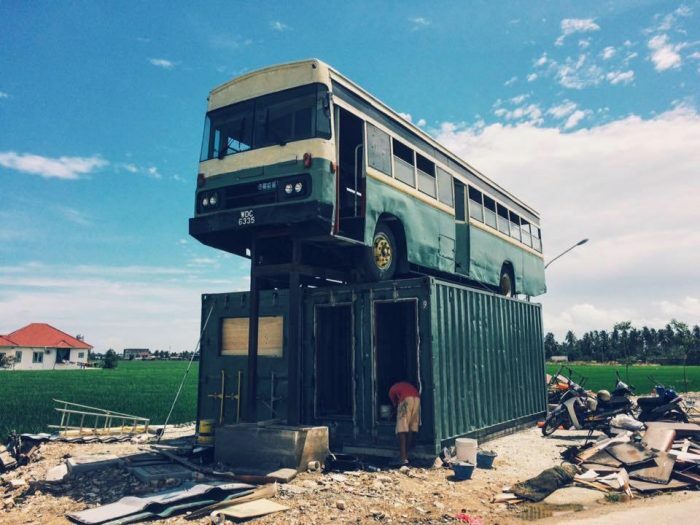 Who wouldn’t be curious to dine in a café that is built from a container with a bus perched on top? 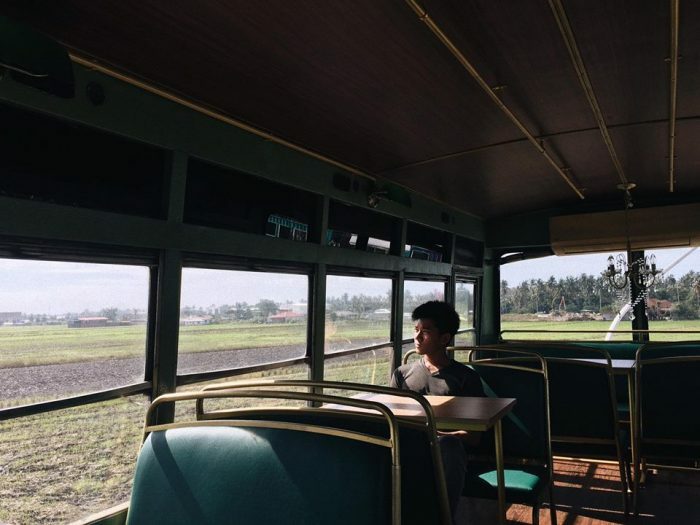 The view from the bus is amazing, with golden rice fields and distant oil palms. Pro tip: Email to reserve the place earlier as this place can get quite crowded. Don’t put a geotag on your photo here and people would think that you’re in the English countryside. Ye Olde Smokehouse on Fraser’s Hill is built according to the Tudor style. Flowers and greens are present in every corner of the cottage – inside and out – and there’s even a little garden with a quaint fountain for more lovely shots! 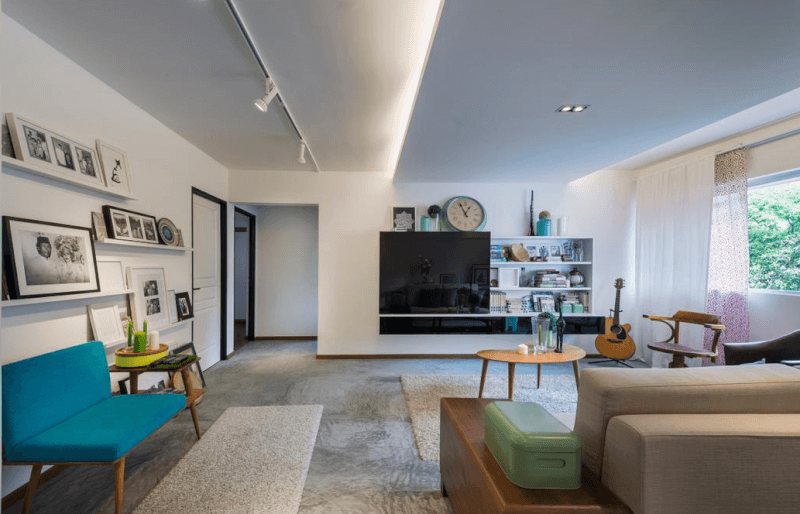 The Pullman Hotel in Putrajaya offers some lovely shots, but you need to be a guest at the hotel to be granted permission to take photographs within and around the vicinity. 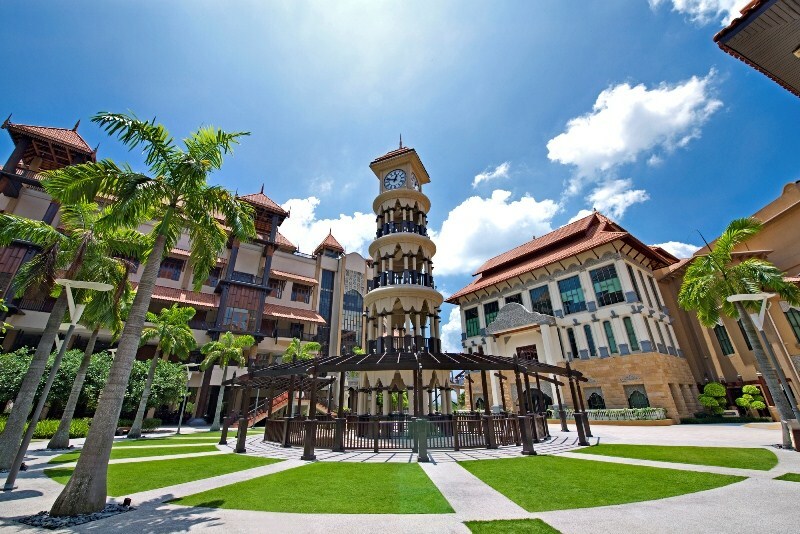 Malacca is a treasure cove of history and culture. Jonker Walk might be teeming with tourists, but the buildings still retain their sense of tradition. Pose against vibrant-coloured buildings or in quaint, vintage shops unperturbed by the chaos of urban development. If you’re traveling from Kuala Lumpur, Malacca is only a two-hour drive away. Oh, and be sure to stop for some tasty nyonya asam laksa or sweet, ice-cold cendol while you’re there! 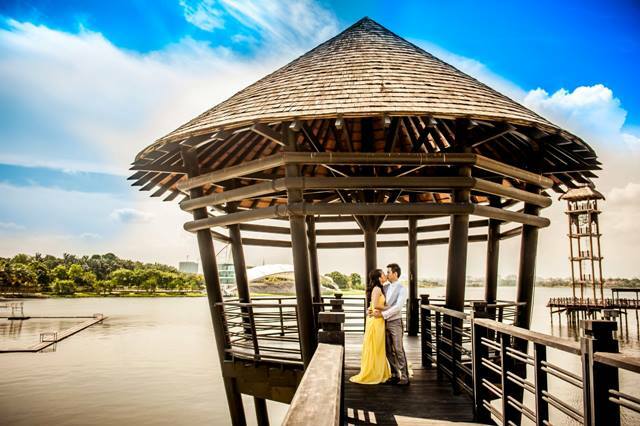 The white sand dunes of Pantai Klebang have gained widespread popularity, especially for pre-wedding photography. Those powder blue skies and white sand are refreshing alternatives from the usual leafy or earthy backdrops. The dunes can be rather crowded during weekends, so we’d recommend heading there on a nice weekday morning or late afternoon for the best photos. 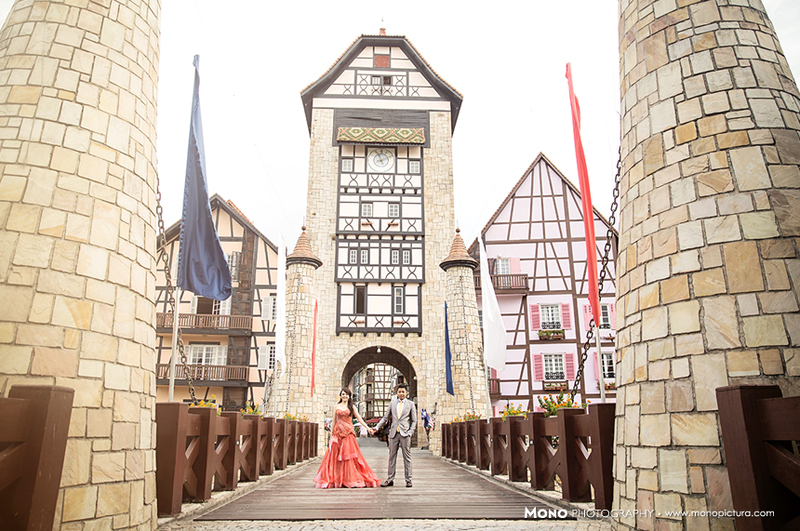 You may also ask your photographer to suggest unique places for your pre-wedding photoshoots. In case you haven’t found a photographer yet, we have talented photographers who are ready to help you snap the most beautiful shots! 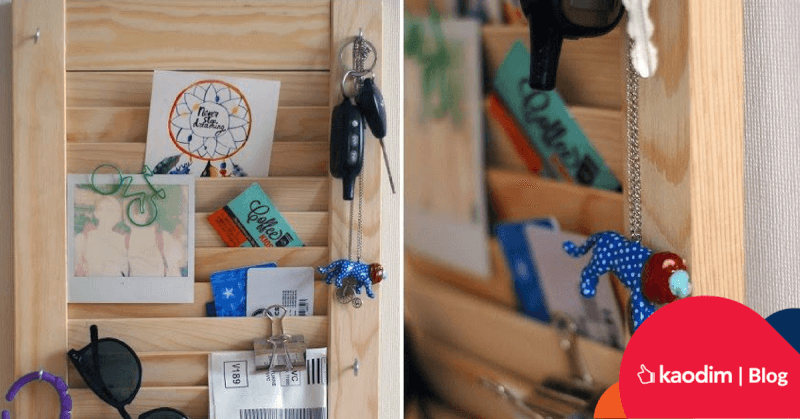 With Kaodim, you can request for free quotes to compare and study the profiles of these talented individuals before making your choice. 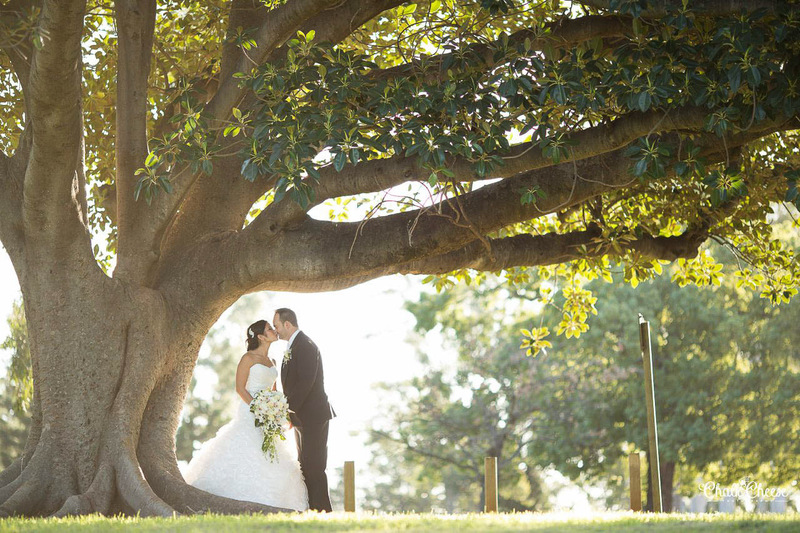 Our professional photographers are experienced in capturing and creating beautiful moments that last a lifetime.